Why the most obvious dieting advice is so hard to follow. 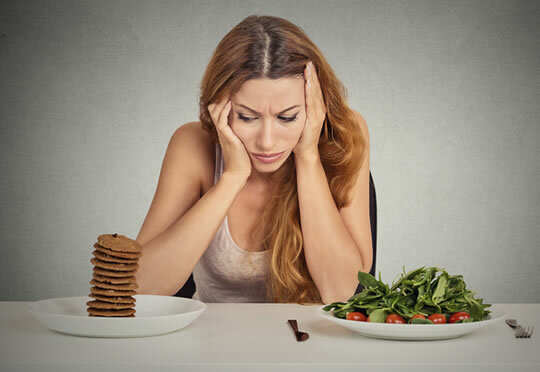 It might seem pretty obvious dieting advice: only eat when you’re hungry. Unfortunately we now all live in an environment in which we are surrounded by food. And these aren’t just any foods. These are foods that have been engineered to be as attractive to us as possible. Chocolates, cheeseburgers, potato chips and so on. All strike directly at our basest culinary desires. So people tend to eat when they are not hungry. The result, according to new research, is that blood sugar may spike after eating. Rapid blood sugar spikes are often unhealthy as they damage the body’s cells. The study’s concludes that it may be healthier for people to eat when they are moderately hungry rather than not hungry. Advice we can all agree with I’m sure, but which can be difficult to follow…. The study was published in the Journal of the Association for Consumer Research (Gal. 2016).